My dad would take me to the demolition derbies during my youth in Tucson, Arizona (60 miles north of the Mexican border). For those not familiar with this form of entertainment, let me explain. Roughly 25 cars start off in the playing field. Once the competition starts, the cars proceed to crash into each other. The goal is to destroy the other 24 cars with the winning car being the last one that can still move. Virtually every organisation experiences a point in time that feels like a demolition derby, when adversaries are coming at you from all directions. I’m sure Facebook feels that way at this very moment as it tries to reassure the public that the 50 million private accounts being accessed by Cambridge Analytica during the U.S. presidential election was an anomaly and its algorithms can no longer be manipulated for nefarious purposes. Of course, organisations of all types experience crises or a series of events that damage business. They don’t always play out in global media headlines. The point is, all organisations encounter tough times, though the “pain” isn’t always visible. And these tough times can cause rational executives to make irrational decisions. This is where the communications function can be a difference-maker in an organisation, helping the leadership parse the issues and consider how to best communicate to the outside world. Yet this can only happen if communications speaks the truth. I recognise this isn’t easy. Strong-willed leaders often try to bend the world to their aspirations. They don’t take well to bad news; hence the cliché, “Don’t shoot the messenger.” Still, if we don’t speak the truth — dodging the arrows that may come our way — our counsel quickly degrades into spin, which brings me to the infamous “S” word. Spin enters the picture when we communicate falsehoods to cultivate the desired perception. Of course, we work in shades of gray. When does communicating accurate information, but not ALL the information, become spin? Are major newspapers “spinning” when they don’t include a photo credit because the image came from the PR function? This doesn’t seem like a big deal. What if a publication essentially rewrites a story that first appeared elsewhere and does not provide proper attribution to the original source? The deception has consequences that cut to the core of the product. If a company is developing a product that isn’t performing according to the specifications during a beta program, we’re not going to send out a news release to announce the problem. That’s not how transparency works. What about the company that hires academics to conduct a “scientific” study that puts the company’s products in a positive light? If the company does not disclose the relationship, is it spin? We live in a messy world. Furthermore, the heightened sensitivity to what’s true and accurate puts greater pressure on communications to get it right. Malaysia is in the process of passing legislation that outlaws fake news defined as “misleading information.” The law, which will carry up to six years in prison, not only goes after the individual(s) behind the fake news, but also holds accountable those who maliciously spread the information. The Indian government looked like it was going down a similar path before reversing course. 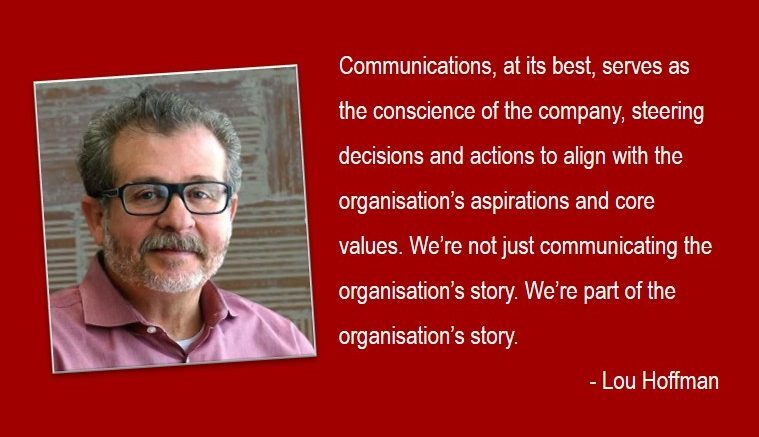 I’ve always believed that communications at its best serves as the conscience of the company, steering decisions and actions to align with the organisation’s aspirations and core values. This means that communications has a say in how the organisation behaves and the actions it takes. It is the opposite of spin. We’re not just communicating the organisation’s story. We’re part of the organisation’s story. That’s how we survive and even thrive in the perception demolition derby. At least that’s my utopia. Hey, a fella can dream. The views expressed here are that of the author and do not necessarily reflect that of Reputation Today. 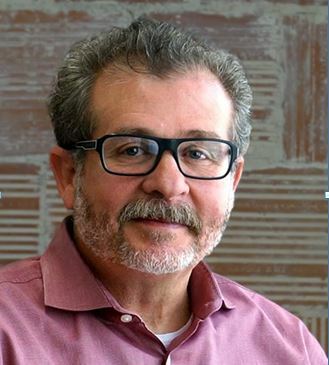 Lou started his career as a newspaper reporter before launching the Hoffman Agency in 1987. With a heritage in the tech sector, the firm’s work today cuts across a range of consumer and B2B industries. Known for having an opinion (or two) on the communications business, his perspectives can be found at Ishmael’s Corner and a microsite on storytelling techniques. Be the first to comment on "Spin, Truth, Demolition Derbies and Where PR Fits into the Picture"
Shaken and stirred by challenges!